Ohio is neatly snuggled in the heart of America. Unfortunately, it is also center to many acts of abuse against its elderly citizens. They endure bed sores, falls, neglect, and many other injustices. Sadly, the setting for these tragedies is as variable as the nature of their injuries: nursing homes, hospitals, homes, community settings, and others. Regularly, we speak to the elderly that have been injured or their loved ones and neither knows what they can do or whom they can turn after an incident. Thus, we wanted to give you some answers to frequent questions that arise with Ohio elder care abuse like bed sores. “Abuse” means the infliction upon an adult by self or others of injury, unreasonable confinement, intimidation, or cruel punishment with resulting physical harm, pain, or mental anguish. §5101.60A. “Protective services” means services provided by the county department of job and family services or its designated agency to an adult who has been determined by evaluation to require such services for the prevention, correction, or discontinuance of an act of as well as conditions resulting from abuse, neglect, or exploitation. Protective services may include, but are not limited to, case work services, medical care, mental health services, legal services, fiscal management, home health care, homemaker services, housing-related services, guardianship services, and placement services as well as the provision of such commodities as food, clothing, and shelter. §5101.60N. Much of Ohio’s Adult Protective Services Act is meant to support federal laws with similar aims. Therefore, it is laden with reporting and procedural designed to compel investigation and enforcement. For more information, see §5101.60A-§5101.71 of the Ohio Code. Damages for your medical bills. Damages for your prescriptions, medications, and other items you need to rehabilitate your life. Damages for the reduction in the standard of living that the incident caused you. Damages that any property damage you suffered. Damages for any losses that your relatives suffered if you died because of the incident. Damages if the defendant acted particularly wantonly. This list is just the beginning. There are other kinds of damages available and the exact depth of each depends on the particulars of your case. To get a better understanding, speak with an Ohio bed sore attorney. Median recovery for Ohio elder abuse cases is $38,000. 8% of Ohio elder abuse cases obtain more than $1,000,000. Median recovery for Ohio bed sore cases is $33,000. 11% of Ohio bed sore cases obtain more than $1,000,000. 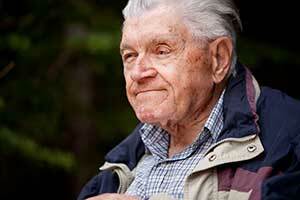 Laws: If you would like to read more about the laws of elder abuse in Ohio, click here. Agencies: To learn about the agencies that monitor and investigate elder abuse in Ohio, click here. Wound Care: If you have a family member in need of wound care in Ohio, view some of the treatment specialists here. It is imperative that you do not wait. Every day your chance and amount of recovery is put in further jeopardy so contact us today to see how we can help you. When it comes to prosecuting Ohio bed sore cases, you can be assured that you are in good hands with our office as we have assisted hundreds of families afflicted by this situation. We serve people from across Ohio, including the following cities: Cleveland, Columbus, Akron, Canton, Cincinnati, Toledo and others. We invite you to discuss your case with an attorney without cost or obligation. Complete our case intake form here. Mean recovery for bed sore cases was approximately $34,000. Compared to the national average, they recovered about $10,000 less. About 27% of bed sore cases involved deaths. About 10% of bed sore cases recovered more than $1,000,000. About 6% more bed sore cases recovered more than $1,000,000 across the country. The patient in this bed sore case was staying at a hospital after he was involved in an automobile accident. He alleged that he suffered bed sores because the medical staff failed to properly position him during his time there. He charged the facility and the persons that cared for him with negligent because, in his opinion, they failed to meet the relevant medical standard of care. All defendants refused to admit to any of these charges so the matter went to trial. The jury returned a verdict in the plaintiff’s favor in the amount of $100,000. A man sustained pressure sores, necessitating plastic surgery, during the time he stayed at a hospital. The patient alleged that the hospital’s nurses improperly monitored him, permitted the sores to grow and spread, and otherwise failed to meet the relevant medical standard of care. The defendant hospital denied this chain of reasoning and countered that these developments were natural or, at the very least, beyond the control of the hospital and its staff. The jury award the plaintiff $12,000 for his bed sore injuries. This amount was half of what the defendant offered and approximately 3% of what the plaintiff asked for in his complaint. This case was interesting because the victim as actually admitted to a nursing home for treatment related to bed sores. However, he ultimately died from them and the family of the decedent sued the facility to recover damages. Not unsurprisingly, they claimed that the home and its staff should have paid better attention to his sores, because that is why he was there in the first place. Additionally, they alleged that the defendants should have put more resources and policies in place to avoid any further complication, let alone death. The defendant denied that that bed sores were the cause of his death or that they worsened during his stay. Therefore, the jury was left with the task of identifying factually if the home was responsible. They answered this question in the affirmative and gave the decedent’s family $250,000. Not long after being admitted to a nursing home, a woman developed bed sores that required her to undergo an above-the-knee amputation. She sued the nursing home and made the case that it failed to afford her the requisite level of care. The defendant nursing home refused this lawsuit out of hand and replied that the plaintiff’s harm were caused solely by the plaintiff herself. After hearing all of the evidence and arguments, the jury came down on the side of the plaintiff and gave her $125,000 in compensation. Here, the patient was an 81-year-old man who died while under the care of a nursing home from pneumonia. His wife and three children survived him. Together, they brought a lawsuit against the facility for negligence and wrongful death. They argued that its deficient supervision, training, care, and standards contributed to the man’s death. On the other hand, the defendant nursing home offered that the man was suffering from a number of other illnesses and that the combination of them was the reason why he died. The jury awarded the family $210,000. The family of a deceased man brought a lawsuit after he died while living at a nursing home. They alleged that the elderly man was not properly supervised and that as a result he developed bed sores that eventually killed him. The defendant nursing home flatly rejected this and pointed to its relevant policies and procedures meant to prevent this from happening. However, the jury was not convinced and, despite the defendant’s offerings, found it liable for the man’s death. They gave the family $250,000.